Samsung DeX or Chrome OS: Which Is Better For You? Chrome OS or Samsung DeX: Which Is Better For You? If you haven’t heard of Samsung’s DeX UI, you’d be forgiven for not exactly being in the know. The whole concept is a little radical and very much on the fringe, but the essentials go something like this: on your Samsung phone or tablet there is an additional UI that can be triggered to give users a basic desktop setup within Android for added productivity. The concept is pretty cool and we’ve given it a spin lately on the Galaxy Note 9. 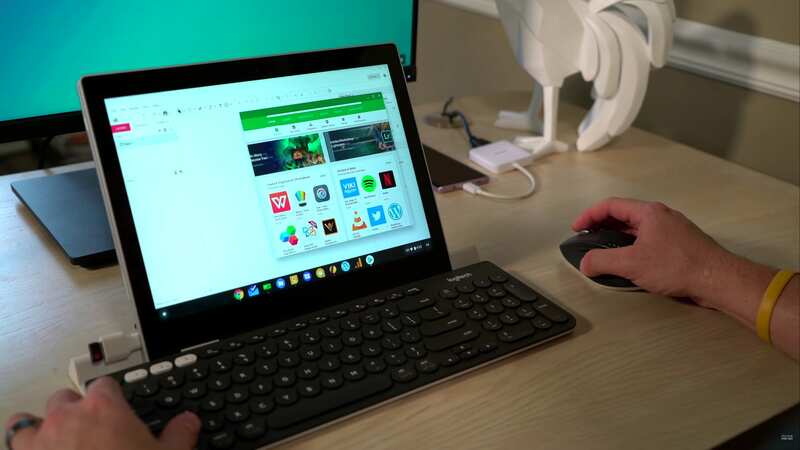 Sure, there are rough edges, but the part of me that would love to see Chrome OS on a phone for the sheer portability (I wrote about this before) geeks out just a bit when I plug a phone into a monitor, mouse and keyboard and get what appears to be a desktop experience. The whole thing starts unraveling a bit quickly, however, and for those of you who have left comments or emails wondering whether or not Samsung DeX would be a decent replacement for a Chromebook, this video is for you. Spoiler alert: Chrome OS wins this. But the reason why needed to be explored, so we made a video to communicate why we think Chrome OS could become the do-it-all OS in a very short amount of time.